Fresh Freight Tasmania provides a fast, reliable, on-time delivery to and from Tasmania across Bass-Strait, with operational efficiencies that are second-to-none. 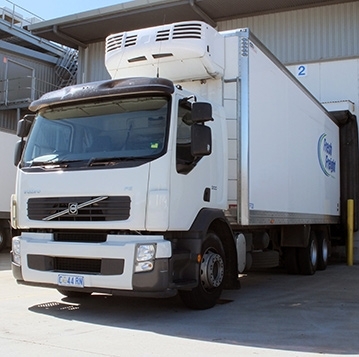 Fresh Freight Tasmania's equipment policy is to continuously maintain and upgrade our fleet and refrigeration equipment which is strategically aimed at providing our customers with best in practice level of service and quality cold chain compliance. Fresh Freight Tasmania operate over 100 trailing equipment units, which include pantech, tautliners and container/skel combinations. This allows ultimate flexibility to provide appropriate solutions for their customer's requirements. If you would like a quote for services to assist your business with timely, reliable and quality freight, please let us know. Fresh Freight Tasmania operates a comprehensive door to door freight forwarding service between Tasmania and Mainland Australia 7 days a week, specialising in the movement of refrigerated and ambient food grade product.